A Full Moon Is Rising is a collection of poems relating to the beautiful full moon, as it is perceived all over the world. Award-winning author and poet Marilyn Singer and fine artist and illustrator Julia Cairns discuss the process of creating a book of poetry and the importance of recognizing similarities and differences among cultures. This collection highlights various ways in which the moon inspires people of different cultures. How has the moon inspired you in your life? Why do you think it has inspired so many others in so many different ways? 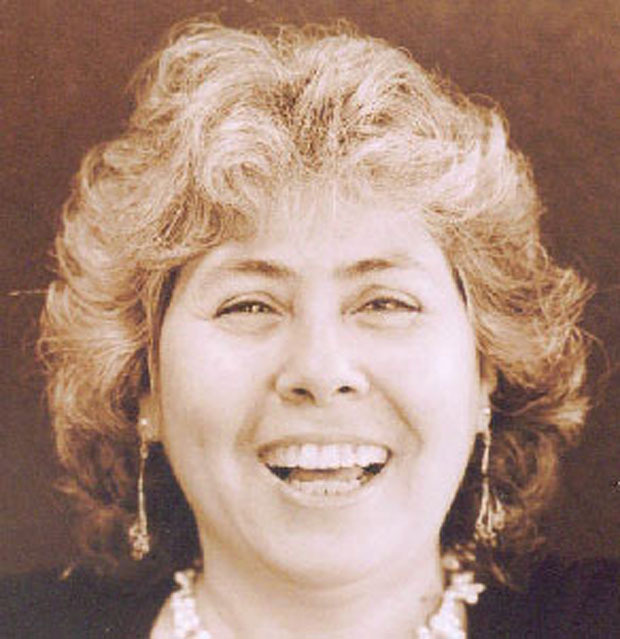 Marilyn Singer: The moon is amazing by virtue of it being . . . there—every night (though we can’t always see it), up in the sky. It seems to appear by magic. It constantly changes. Sometimes it’s gone, sometimes it’s huge and stunning; and sometimes it undergoes a dramatic eclipse. People have wanted to understand its magic—both real and fanciful—for thousands of years. We study it scientifically; we celebrate it through all our arts. I’ve always been “moony.” I really enjoy watching the changing phases and I wrote moon poems when I was young. I love trying to understand all of its magic. To me, myth is not the only thing that stirs the imagination. So does science. The moon encompasses all of that. Julia Cairns: The moon has always been an inspiration to me. One of my earliest memories is going “cherry scrumping” (picking cherries from the farmer’s trees at night!) with my friend. We would wait until the full moon so we could see our way across the fields to the orchard. There we would rely on the moonlight to pick the cherries and take them back to the tent to devour. Delicious! I particularly loved the moon in Africa. It would rise, full and mysterious, over the plains and create a black and white image of what during the day had been vivid Technicolor. Lions would make use of the moonlight to hunt when they could blend into the shadows without their prey noticing. The moon has appeared in many of my paintings over the years, providing an illuminous focal point for the figures or animals I portray. When it is particularly hot and dusty in Africa, the moon will have a reddish glow as it rises into the dark sky. 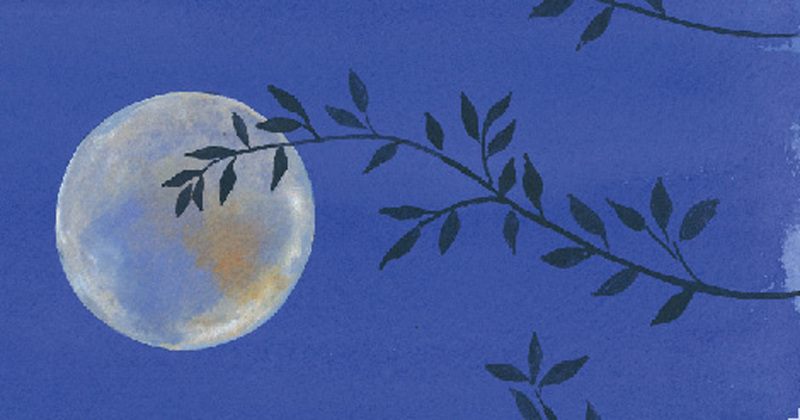 Although the moon is something everyone has in common, these poems highlight differences between cultures as well. Do you think it’s important for children to learn about both similarities and differences when studying a new culture? Why or why not? MS: Yes, I think it’s very important for kids—and adults—to learn about similarities and differences in cultures. I think we humans have a tendency to be both open-hearted and narrow-minded. We like to see ourselves as related, but we also are more comfortable with and want to stick with our “group.” I believe that it enriches us and makes us more compassionate and interesting when we embrace both the similarities and differences among cultures. It’s great to see what we have in common, and it’s also invigorating to learn about (and to discuss) what we don’t. JC: For many cultures, the moon is of great importance and I think it has been so inspirational because it evokes such mystery and intensity. So many myths and legends have revolved around the moon as it is always visible, yet until fairly recently, not accessible. This allowed people to use their imaginations regarding who might live there or whether it was male or female and which animals it might represent. There are hundreds of legends and myths surrounding the mysterious silver orb in the sky. I think it’s very important for children to learn about similarities and differences when studying a new culture. Each culture is unique, yet there are similarities in many that help us relate to certain aspects of other cultures. It’s important to realize that there are many ways of looking at things, especially nature, and there is no right way or wrong way. By studying various cultures we become open to other ideas and are able to learn tolerance, acceptance, and understanding. This book takes readers on a trip all the way around the world! Have you visited any of the places personally? If so, what were they like? If not, which place would you most like to visit? MS: I would like to visit more places. I haven’t been outside of the U.S. in a while. I have seen much of America, though. For my junior year of college, I lived in the U.K. and traveled around parts of Europe, and I have also been to Jamaica. All of the places in the book would be interesting to visit. However, believe it or not, I still haven’t been to Canada, so I’d like to go there. JC: I have personally visited Cape Town, Haifa, New York, Canada, Australia, Mexico, and the Caribbean. I don’t care too much for cities, but New York had a real buzzy atmosphere that was very exciting. Cape Town was beautiful. I especially loved going up Table Mountain in the cable car. Australia was vast, and very hot, but I enjoyed the east coast and seeing the Great Barrier Reef where the fish are so colorful. The Aboriginal art was also very interesting for me as an artist. We lived in Canada for a year, which was very different for us, since we had been living in California for so many years before that. It rained a LOT and we got tired of that pretty quickly, but there are some very beautiful wilderness areas there and we tried to visit some of those, making sure to take good raincoats! Mexico was fun, colorful, hot, and more like Africa for me. I loved the food especially and of course the warm sea. In the Caribbean I stayed on a little island called Dominica, which was incredibly green and lush. I did a lot of painting there and also swam in the sea, which was full of interesting fish and aquatic life. I loved watching the fishermen bringing in their catch every morning at the little harbors. Israel was the first foreign country I visited. I lived on a kibbutz for many months, picking oranges and looking after the cows. A kibbutz is a community of Jewish people who have turned the desert into farms. There are many in Israel, all specializing in different crops or products. I had never seen an orange growing on a tree before, only in the supermarket, so it was wonderful to see that. I would really, really love to go to the Pushkar Camel Fair because I particularly like camels and have been reading a lot about India recently. Marilyn: How did you decide which cultures to highlight in this story? What did you learn about the moon and the people who celebrate it along the way? Did you discover any traditions that surprised you? MS: I did a lot of research for this book. I wanted to cover different aspects of the moon—from science to celebrations to beliefs—so I selected locations that highlighted those different aspects. I also wanted to represent varied cultures, so, for example, when I wanted to write about migration, I chose a location in Mexico, rather than the U.S., which I’m more familiar with, but which was already well-represented. I think the Camel Fair in Pushkar surprised me, and I loved reading and writing about it. Can you imagine seeing all those camels amid those lively festivities under a full moon? Julia: How is illustrating for a collection of poetry different than illustrating a picture book or creating your fine art work? JC: Illustrating a poetry book is different from a picture book in that each poem creates a different atmosphere that I have to capture and a mood I must express. Picture books, while illustrating a story, often have more continuity and I need to make a character look the same on each page, which can be challenging. With poetry there is more room to play. Of course, I can be playful in my own art when painting pictures but it’s nice to try and get an emotion across as I do with poetry. Sometimes, though, a poem can be difficult for me especially if it involves something that I don’t usually paint, such as New York! Did you have a special moon tradition growing up? Do you have one today? MS: I had my own tradition, which was to make up a dance outside under the light of the full moon. Today, I’ll still moondance if I get the chance—but most likely it would be swing dancing with my husband! I didn’t have a specific moon tradition growing up, but my children developed one with their kindergarten teacher. It was called the Moon Journal. Every night for a month they had to look out their bedroom window to see the moon and describe what it looked like and where it was in the sky. They loved doing this and were very disappointed when it was a cloudy night and the moon could not be seen. If readers can’t travel to all of the places in the book, how can they still connect with the people in other countries as they celebrate the full moon? MS: Read about them—books, articles, pieces on the Internet. Watch films. Visit museums. Go to festivals in your own neighborhood (there are often cultural festivals wherever you live). Talk to people. Find good pen pal organizations and get a pen pal from a different culture. There are many ways to connect if you’re willing to find them. JC: Readers who cannot travel to the places in the book can always connect to the people in other countries by reading books about them (such as A Full Moon Is Rising!) and, of course, looking up at the moon whenever it shines, knowing that every culture around the world will be seeing that very same moon. Want to know more about us or have specific questions regarding Interviews?